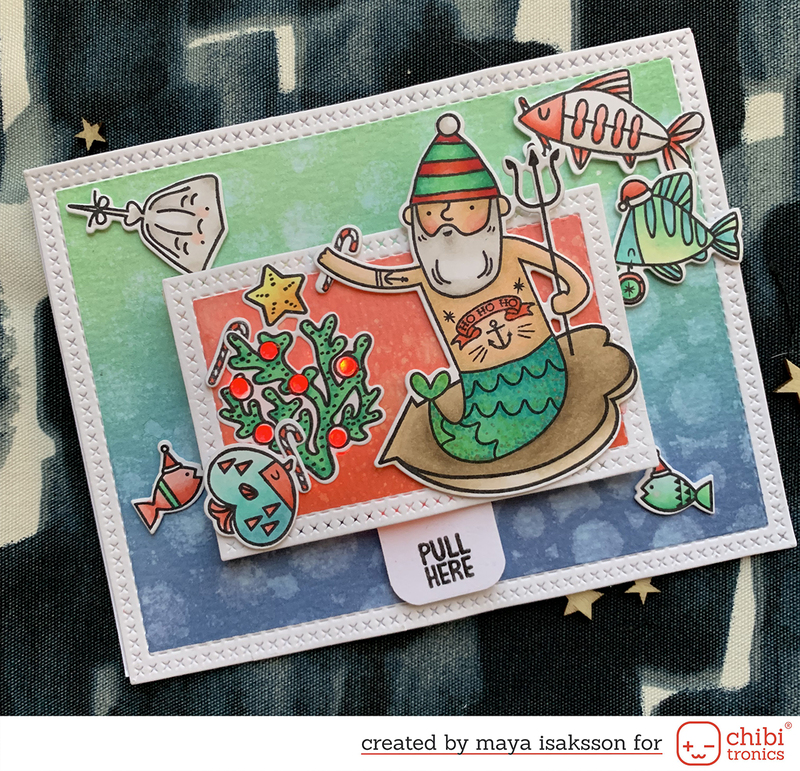 I signed up for the Supreme Scrap Tournament and our first challenge in the Card Diva challenge we were to make a ATC. I never made one before but it was fun to try. It is a tiny surface, only 2,5x3,5 inches. The card was supposed to be about home but you could not use any images of a house on it. Also no spray paints are allowed. I made my background by dipping my card in ink from distress pads on my craft sheet. No spraying or dripping. 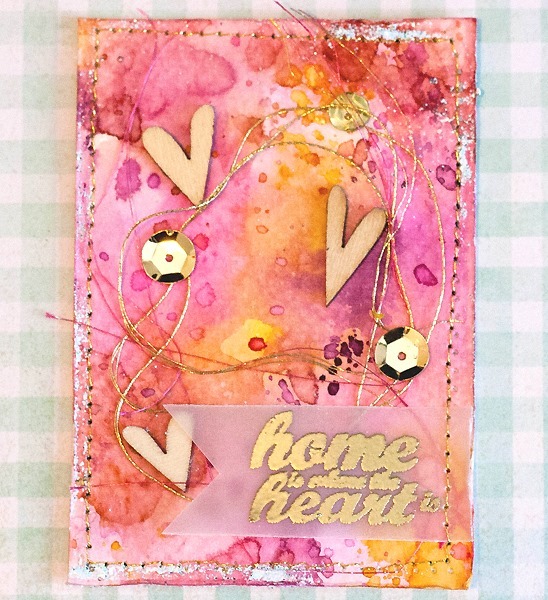 I stamped a sentiment on vellum and decorated with wood veneer hearts, sequins and some metallic thread. I keep my fingers crossed I go on to the next round, the voting begin next week I think. This is beautiful ~ LOVE the stitching!! oh wow, this is gorgeous!! looove the colours you used!